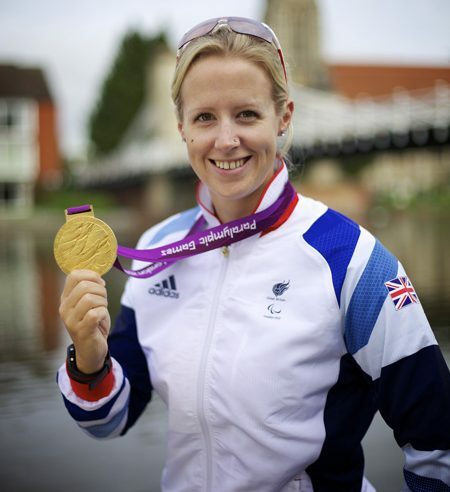 On Saturday 17th September 2016, Paralympic Gold Medalist Naomi Riches will attempt to set a new Guinness World Record as the fastest woman to row down the River Thames in a single scull. 165 miles from Lechlade to Gravesend Royal Pier. Such a grand attempt is for a worthy cause. Naomi is attempting this challenge to raise funds for the charity IN-vision. IN-vision is a charity whose goal is to help fund research into finding a cure for Infantile Nystagmus. Naomi is planning to raise £1,000 per mile, i.e. £165,000 for, the charity she is patron of. It won’t be an easy row for Naomi Riches to complete. Across the whole 165 miles of the river there are 45 locks, at least 17 tunnels, at least 60 active shipping terminals and 16 cities and key towns that she will need to navigate through. The all-time record currently stands at 43hours 40mins 56seconds set by Malcolm Knight in 2005. To be recognised by the the Guiness Book of World Records as the fastest female rower she has to row the entire length of the River Thames in 50 hours non-stop. She has to average 5 miles an hour, non-stop, to stay on target. To find out more about Naomi Riche’s Word Record breaking attempt and to give her your full support, head to www.thegreatthamesrow.org.